The Special Investigations Unit has cleared police after an incident following a knife attack at a gun store. 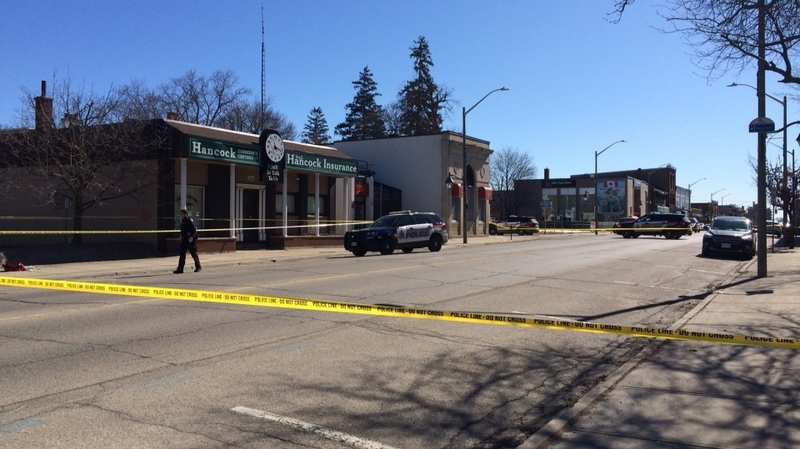 On March 23, a 19-year-old man entered Select Shooting Supplies in Cambridge. After a short verbal exchange, police say the man attacked the store owner, Dean Carr, with a knife. Police tried to arrest him in the store, but he broke free and ran away. When more officers arrived, the man was found in a vacant lot nearby with cuts to his neck and wrists. “It is evident on the SIU’s preliminary inquiries into the circumstance surrounding the man’s injuries, that they were intentionally self-inflicted in a moment of acute mental distress,” says Interim Director Joseph Martino in a news release. Carr said at the time that the incident was a random act of violence. “He could have targeted anyone, anywhere. He just happened to walk into our store,” he says in part in a written statement. He says that, though his injuries were severe, he believes his wounds will heal. A stretch of King Street in Cambridge, from Argyle to Waterloo Streets, has been closed off by police.